So you take pre workouts, that’s great. But are you getting everything you need out of it? Depending on what goals you have, what type of person you are, and what pre workout you are taking – there are often additions that can be made to pre workout supplements. For instance, if your goal is to burn fat – there are fat burners that can be taken with your pre workout. If your goal is to build more muscle or last longer in the gym – there are additional supplements that can be taken with your pre workout in the before workout time-frame. 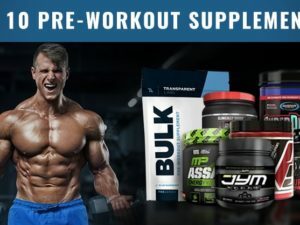 There are many bodybuilders that have a complete understanding of mixing pre workout supplements with other workout supplements, but then there is the majority whom make terrible mistakes. Note: unless you know what you are doing, combining supplements can be dangerous, counter-productive, and a waste of money. What’s In Your Current Pre Workout? If you are looking to get more out of your pre workout through adding additional supplements – it’s important to first identify what your pre workout already contains. You should take it upon yourself to learn more about the ingredients that make up these categories. Then, determine if your pre workout is properly dosed or lacking. Spoiler alert: many are lacking. Therefore, if you love your pre workout, but your endurance is lousy – you can consider adding more amino acids. Specifically, 6+ grams BCAAs. It is important that you are an intellectual consumer and buy the right pre workout in the first place, rather than trying to improve from a poor base. You can view the most recommended pre workouts of 2018 to get a glimpse at what your pre workout could be. One of the best things you can do to improve your performance over time is take a BCAA supplement. Despite this, many pre workouts either contain very little BCAAs or lack them entirely. What are BCAAs? Branch Chain Amino Acids – three select amino acids that tend to be more anabolic and muscle-necessary than their counterparts. What’s the ideal dosage? You want to be getting at least 4 grams in. Six to 8 grams would be perfect. How to time BCAAs with Pre Workout: Two options. Either mix your BCAAs straight into your pre workout. Or, mix your BCAAs into your water bottle and drink them while you workout. Creatine is without a single doubt the most effective legal bodybuilding supplement to date. So why wouldn’t you want to add it to your pre workout, assuming your current pre is deficient? These are all due to water balance. Creatine is a water loving molecule, while caffeine has a way of flushing water out of you. Will this effect you? Hard to tell, you’ll probably just need to test it out. What is Creatine? Creatine is a natural cellular Compound that interacts directly with ATP. Basically, creatine re-charges ATP in your body allowing for you to exert more work aka lift more weight. What’s the ideal dosage? 5 grams per day of creatine monohydrate is the standardized sweet spot. Larger guys may need more. 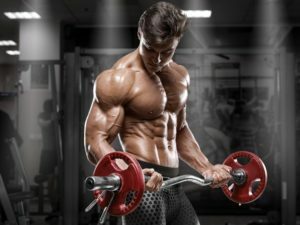 How to take creatine with pre workout: Ideally you should give creatine more time to sink in than your average pre workout. So, if you can – take creatine as early as possible. Many guys will still just take their creatine mixed in with pre workout 30 minutes before. If your stomach can handle that, then enjoy! However if you want to take creatine at the best time – save it for post workout with a meal. While adding BCAAs and Creatine to your pre workout is pretty fail safe and easy – fat burners get more complicated. This is because of the stimulants which are contained in both pre workouts and fat burners. Basically, you don’t want to overdo it. The point here, is to avoid taking over 300 mg of caffeine in one go. While some of you may enjoy the turbo-blast of energy – it will be stressful on the body and make many people feel sick. Not to mention, that stress can make your body less prone to burn fat reserves in stress-related deposits (ahem, love handles). 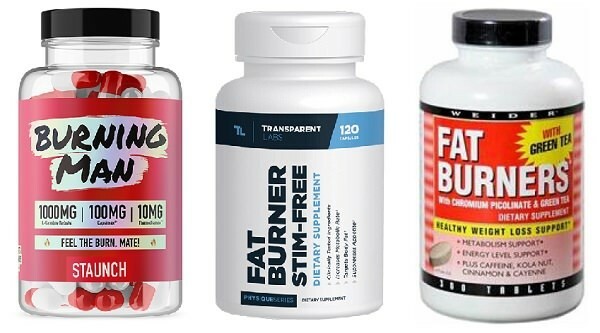 How to take fat burners with a pre workout: Ensure that either your pre workout or fat burner is a stimulant free addition. Otherwise, make sure the caffeine doesn’t combine to some ridiculous amount. If both of those fail, choose which one is more important to you. If the pre workout you’re currently taking is super weak, then maybe the energy from your fat burner will serve you better? In that case, drop the fat burner. Yeah, I wouldn’t if I were you. Don’t get me wrong, if you were someone I knew… I’d let you try it out. All for the spectacle of watching you go puke in the bathroom 20 minutes into heavy lifting / high intensity cardio. It really is a spectacle! Funny right? Well, its true and many members of the BWSB staff have experienced this first hand. If you really must take something, add in some BCAAs. They are significantly lighter on the stomach. Summing it all up: Maybe you Just Need a Better Pre Workout? Combining multiple supplements may feel like you are ‘hacking’ the fitness matrix… But its really not necessary. Maybe you just need one really high quality pre workout, that will of it all? Regardless, there are many approaches to increasing the effectiveness of a pre workout to meet your goals. But, it is incredibly important that you first evaluate your pre workout and pursue the most reasonable additions. As well, often these additions are best taken at times other than the before workout window. Got questions? Feel free to leave them here, we’ll gladly discuss supplementation with you, the only requirement is that you know how to do some simple math to pass our captcha test. Can I mix ON 100% whey/ Platinum Hydrowhey with ON Amino Energy as a pre workout supplement? It would be better to take your whey protein either an hour before, or some time after training. Taking Amino Energy right before training is good though. Hi, i have a big doubt here so i hope you can Help me. Usually I take Cobra Labs The Ripper as a Fat burner with stimulant, and recently i got MusclePharm Amino 1 (post-workout), but i was told that it could go better taking it during my training. Could be dangerous to take The Ripper and Amino 1 since both have stimulants like Taurine? Can you mix collagen and preworkout together? Post workout, along with food to complete the collagen protein profile would be optimal. I am taking BCAA and Glutamine mixed with Masstech muscle gainer pre and post workout is it good or not rht?I need to gain size now what should I do?